How Far is Sizzle Nandi Prime? As, North Bangalore being the different Identity from Bangalore City due to it’s own development and Infrastructure like International Airport, Manayata Tech Park, Brigade Magnum, Brigade Opus, Kirloskar Tech Park, Wide National Highways, and ample amount of Residential Projects. It's a residential gated community, strategically located too close to a beautiful, cool and serene place, Nandi Hills called “Sizzle Nandi Prime”. The experience of “Sizzle Nandi Prime” gives you a feeling of a vacation in the comfort of your own home. A small piece of heaven is just 15 Minutes drive from Bangalore International Airport. Here you recreate your Body, Mind and Soul. 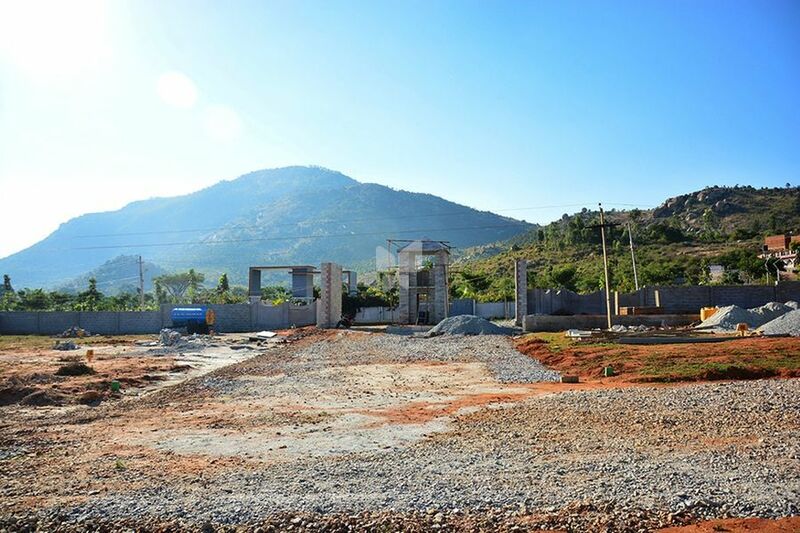 This is hustle and bustle-free from the city and set on the foot of Nandi Hills, the Layout offers you amidst nature giving you a sense of peace and rest. This 7 acres project represents Sizzle’s commitment to provide an investment opportunity as well as an address of your weekend home in the nature. Surrounded by the lush green hills and greenery around. The project is close to golf course, a 5 star hotel and next to prominent resort too. “Sizzle Nandi Prime” is a place of attraction for beautiful Villa Plots and it's unmatched combination of peace and Nature. As we aware that global vision focused on North Bangalore with the acquisition of first phase of 2200 acres of land to set up India's Largest IT HUB in 10,000 acres Land. And The first IIT in Karnataka in 200 Acres at Muddenahalli, Sri Visvesvaraya Institute of Advanced Technology (SVIAT) in 200 acres with a cost of 600 crore, a multi crore university Sri Satya Sai Baba University & School of Medicine, SJC Institute of Technology, Nagarjuna College of Engineering & Technology, 2500 acres Sports Village, 70 crore Silk City and many more are expected to generate direct employment of 12 lakhs people in and around NANDI HILLS, Bangalore. The New Information Technology Investment Region (ITIR) falls right in the vicinity of Nandi Prime with an estimated 4 Million Jobs envisaged, one can only guess where land price would go! Since its inception in the year 2009, Sizzle Properties (ISO 9001:2008) started with promoting Independent Houses in the East of Bangalore. Sizzle Maybelle Block 2 one of the plotted development of the builder is located in Chikka Tirupathi near Sarjapur road is available with various dimensions of plots. Sizzle Gold Coast another plotted development is available with completion certificate and is situated in Malur one of the major residential hubs near Malur – Hosur Road. Sizzle IT Meadows located in a prime location, destined amidst busy running people a perfect serenity in Whitefield with plots of various dimensions. Our Team is guided by an unwavering pursuit of Excellence. We push the boundaries and surge forward creating happy co-existing communities and Everlasting Relationships. We maintain high standards of Ethical and Transparent Business Practices. Today, we have diversified interests in the field of Real Estate like Developing and Promoting Residential Communities (LAYOUTS) and Construction & Promotion of Independent Houses. We are hellbent to deliver our promises – no matter what happens! If we say it, we shall deliver it. To become the leader in Real Estate industry in India by successfully completing hundreds of layouts within the next ten years. To enable millions of people, own a piece of land by providing them with clear legal documents and true value for their money while taking away the hassles, stress, time-consumption involved in the process.